JetSpot Broadband now with "30 Days Money Back Guarantee"
What we have figured out in this 6 months of our operations, its very tough for the people of Bhubaneswar to trust a new startup when they have been duped by every other ISP! 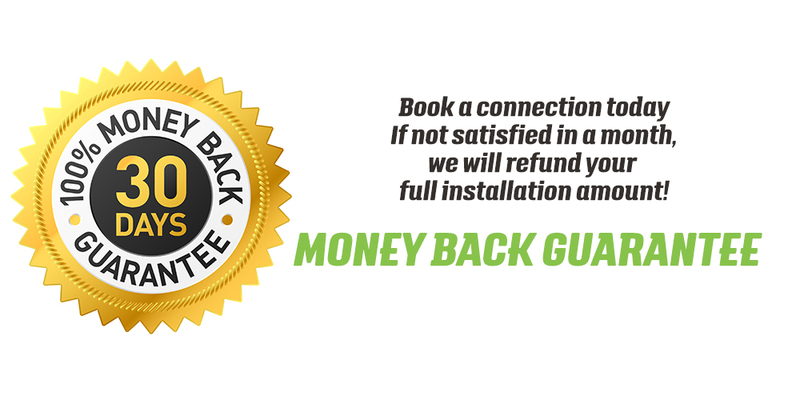 To prove our confidence in the services we provide, we are offering a generous 30 day money back satisfaction guarantee! Our guarantee is what we say it is! If you are unsatisfied with our service for any reason whatsoever (within your first 30 days) you will get a refund! The only money you wouldn’t receive back would be for Rental Pack of your JetSpot Account, that do not apply to the full refund, as you have used it during the 30 days time. Jetspot’s foundation is based on client satisfaction via long-term relationships and this is only part of the way we try make sure our clients are confident that they will receive an honest service, from an honest company, in a risk free environment when they choose JetSpot! JetSpot will grant the refund as soon as it is requested, providing your uninstall has been done and the JetSpot device has been collected safely and in perfectly working condition. The refund will be done in cash, and you have to sign the refund form. You have to explain, why you were not satisfied with a valid reason, which has to be verified at our NOC. Only once the verification is done, the refund is approved. What if I cancel and decide I want to come back? If you decide to return, then we will gladly accept your request to reopen the account! You just have to pay the installation cost again. Exactly how much will I get back if I request a refund? You get the installation amount refund only, i.e, 2500 INR. If the pipe solution was implemented which you would have paid, then we will refund that as well and take back the pipe. Are there any non-refundable fees? Only if there had been any extra cable usage, which you would have paid, that is non-refundable. NOTE : This is only applicable for wireless customers, not for fiber customers, due to CAPEX.